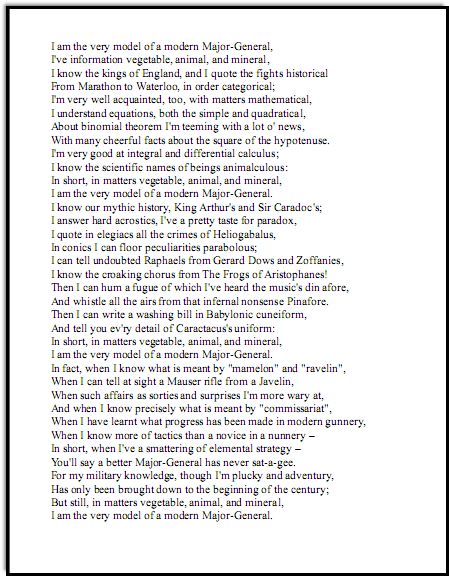 Gilbert and Sullivan Lyrics and Music "Modern Major-General" in 4 Keys, FREE! Gilbert and Sullivan lyrics and music for tenors "I Am the Very Model of a Modern Major-General," free! 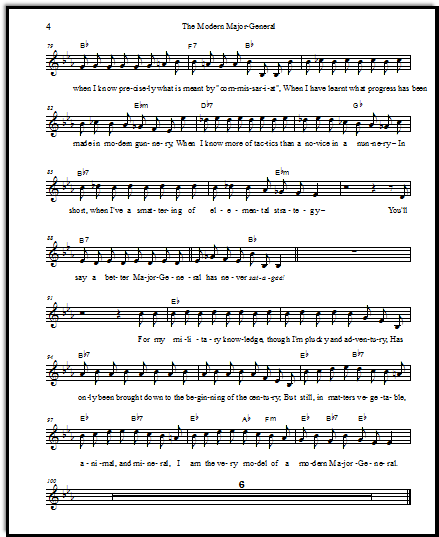 just the lyrics in a PDF for your tenor to carry around to practice the words. Gilbert and Sullivan operas (or operettas) are famous for the "patter" songs, filled with sometimes silly and even incomprehensible (to our modern ears) lyrics, frequently sung by a crusty old fellow with great personality and breath control! The video below comes from "The Pirates of Penzance," my own favorite of the Gilbert and Sullivan operettas. 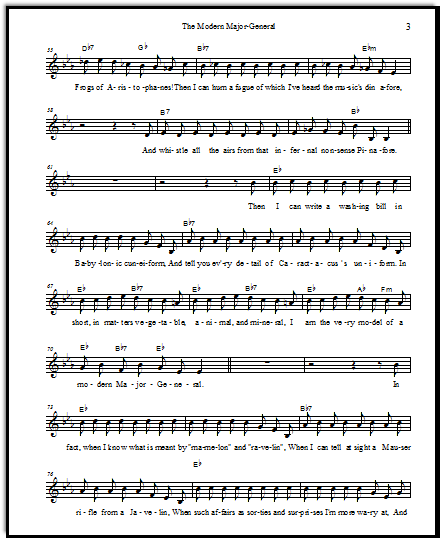 This fun solo spends a lot of time up high for the average teen tenor; so I have set it in several lower keys. 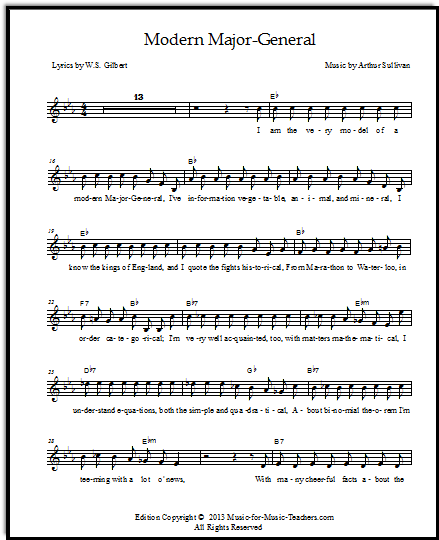 Below the music, I've included a downloadable sheet of just the Gilbert and Sullivan lyrics. 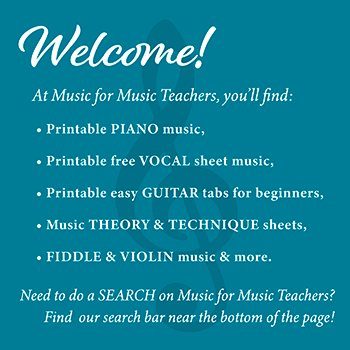 Please scroll down the page for the links to the lead sheet PDFs. 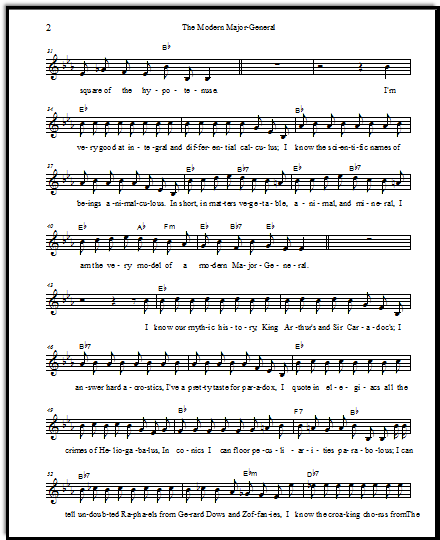 In addition to being a great song for practice with breath control, this song will be fabulous for your students' articulation! If your tenors/baritones have a tendency to slur or mush-mouth their words, this song's lyrics will tighten up that problem. The object is clarity, but also SPEED.